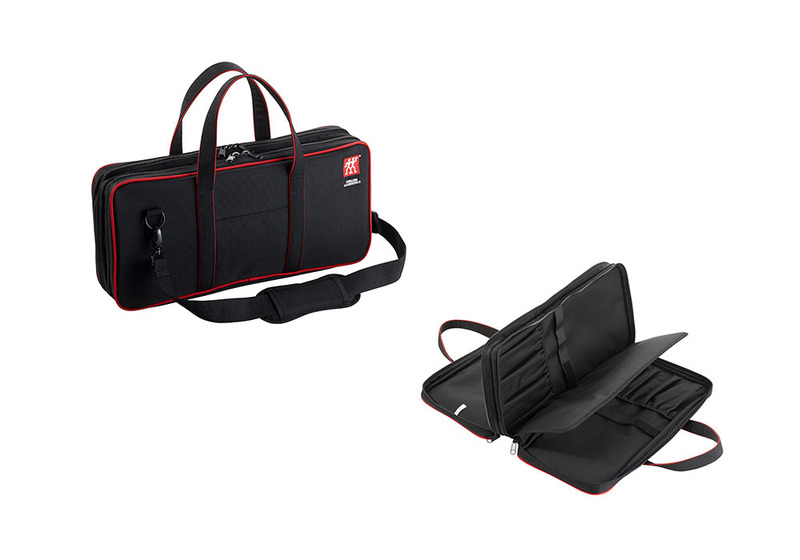 Easily transport and organize your knives as well as accessories with the Zwilling deluxe multi-compartment knife bag. Perfect for all your cooking and catering needs. An invaluable and convenient accessory for culinary students, hobby chefs and professionals alike. Features a fully lined interior, reinforced carry handles and D-rings to accommodate the removable padded shoulder strap. Durable laminated 1680D nylon and high quality metal zippers that seal each knife compartment closed.